Back when they dominated the arthouse scene with films like A Room With A View and Howard's End, producer Ismail Merchant and director James Ivory engendered such animus among critics that "Merchant-Ivory" become a pejorative phrase, shorthand for inert costume dramas or literary adaptations with the veneer of quality. Merchant's death three years ago put an end to their collaboration, but the Merchant-Ivory label lives on, and it now applies all-too-suitably to Before The Rains, the turgid English-language debut of Indian director-cinematographer Santosh Sivan (The Terrorist). All the expected hallmarks are there: sumptuous production values and pretty (though inexpressive) photography, undercooked melodrama, and political metaphor so obvious that it doesn't merit being referred to as subtext. Everything is right there on the surface. Set in colonial India in 1937, Before The Rains takes place in a remote area in the southern part of the country, where the growing nationalist movement is just reaching the populace. 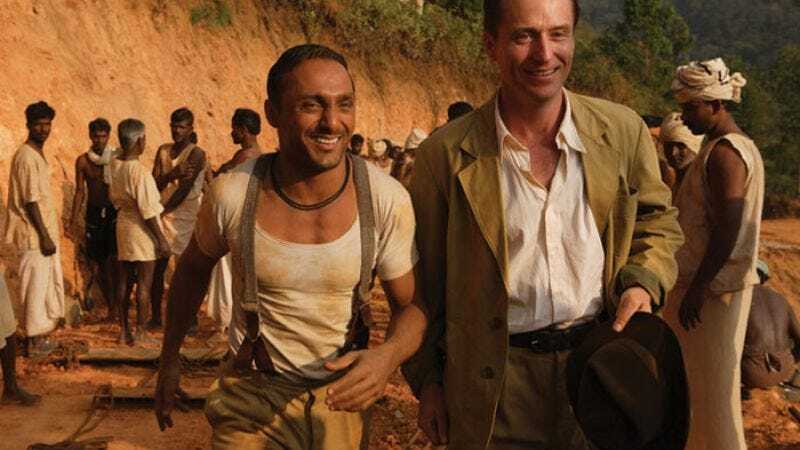 English businessman Linus Roache has an ambitious plan to build a spice plantation, but it involves a sizable loan from a British bank, plus the mass employment of local villagers to clear a road through the hills surrounding his estate. In the meantime, he's been having a passionate affair with pretty house servant Nandita Das, who risks the wrath of her abusive husband if they're ever found out. One day, Roache and Das steal off for a romantic interlude in the forest, but when a pair of local boys witnesses them, the potential fallout could be damaging for both of them. Roache's faithful English-speaking Indian assistant Rahul Bose is tasked with keeping the affair under wraps. The one appealing aspect of Before The Rains is that there are no villains, just three characters who are driven first by shared desires, then by a natural impulse for self-preservation that brings them into conflict. Roache is a nice enough guy, but he's a colonialist oppressor all the same; given the choice between coming clean about the affair or covering it up, he has to do the dishonorable thing or lose his family, his business ambitions, and maybe his life. If anything, Bose has it worse, because he can't appease his boss and his people at the same time. With all these volatile emotions at play, Before The Rains should percolate like The Postman Always Rings Twice, but… well… it's a Merchant-Ivory production, after all.